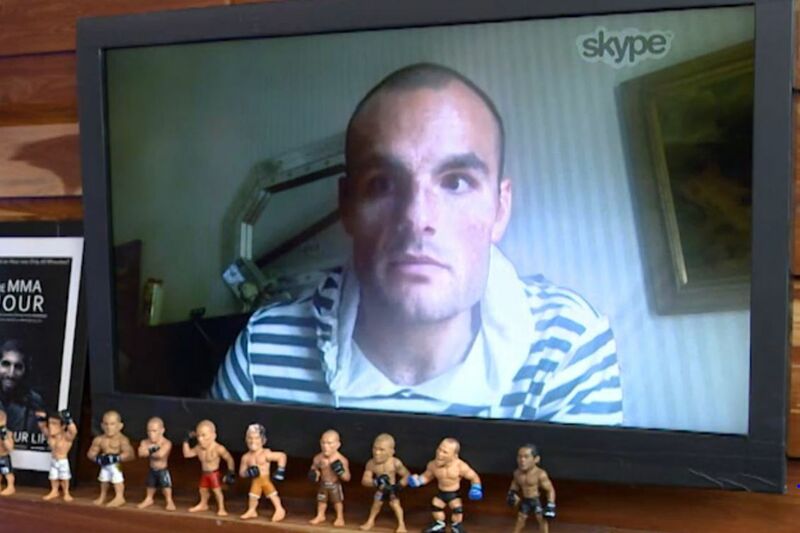 It’s been an odd few years for Ralek Gracie. He founded the submission-grappling promotion Metamoris in 2012, watched it soar into a kind of hipster darling territory by 2014, and ended up in the crosshairs of many complaints by 2016. Gracie is back in the spotlight in early 2017, as he will compete for the first time in nearly six years in a mixed martial arts fight at Bellator 170 against Hisaki Kato on Jan. 21. Yet before he gets back in the cage, he tried to clear up some mystery surrounding his “passion” venture, Metamoris. Namely, is the beleaguered Southern California-promotion kaput? And will its past competitors be paid what they’re owed? Gracie was a guest on Monday’s edition of The MMA Hour, and he addressed those issues among other things. He said right now Metamoris — which held its seventh and last event in July, when Ralek himself competed against Garry Tonon — is temporarily on the shelf until matters get sorted out. “We’re in a little bit of a hiatus, and it’s been an interesting process, as you’ve caught in some of the headlines,” Gracie told Ariel Helwani. “Some of it true, some of it expressive but from the nature of truth. The idea for us at this point is to regroup and really just refine our business model. [To] get me a little bit off of the front lines as far as running all the business processes, and build a little bit more of a business foundation. Some of Metamoris’s past competitors have gone on record criticizing Ralek and the promotion over pay, or lack thereof. Competitors like Renato “Babalu” Sobral and AJ Agazarm have talked openly about being snubbed their due, which has cast a bit of a pall on the promotion. Gracie acknowledged that the company does indeed still have outstanding debts. Asked to clarify, Gracie broke it down as a kind of paradox that he’s dealing in. “It’s weird, right,” he said. “So on one hand, the idea is to get a loan, pay everyone, get an investment, cover everybody so that way people say, of we got paid, everything is great, moving forward everything there’s no more water in the bucket. That’s one side of it. Gracie said that his initial investor with Metamoris was around for the first two shows in 2012-13, which were held at the UCLA Pauley Pavilion in Westwood, California, and featured matches between Kron Gracie and Shinya Aoki and Roger Gracie vs. Marcus Almeida. “We went into that show in debt,” he said. “You know what I mean? We made it happy, and we were winners, and so society was happy with us, and everybody got paid from us. The moral landscape is pretty much the same, but the perception has changed significantly, to where people are judging us on a level, where they’re saying, well, you had the money and you decided not to pay A.J. [Agazarm], or pay this person, or do this or that. Then it becomes Ralek is an evil person who’s not good, and obviously the media exacerbates all of that, and all of the symptoms become a lot more inflamed. Gracie, who admitted he was in over his head running too many facets on the business side of the venture heading into last July’s show, said to his way of thinking there would “absolutely” be another show down the road. But he also acknowledged, given the complexity of the situation and all the lingering debt, that’s is “realistically possible” that Metamoris has ran its course. The desired outcome, though, is to keep Metamoris rolling if at all possible. Gracie said if it’s possible to salvage the brand he started, he’s going to do it. Heading into his fight with Kato, the 31-year old Gracie (3-0) — who defeated Kazushi Sakuraba at Dream 14 in May 2010 in his last fight — said he didn’t want the Metamoris talk to be a distraction. He vowed to make Monday’s appearance on The MMA Hour the last time he addressed it.